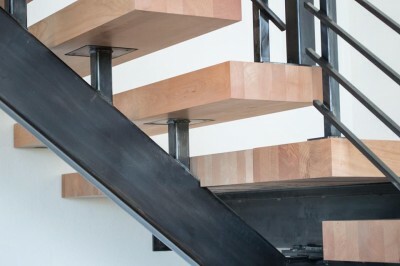 MW Design Workshop is a Portland-based, full service custom stair-building, casework, and millwork workshop that prides itself on having “an obsessive attention to detail and process,” as they state on their website. These are the exact reasons we chose to work with MW Design Workshop for our contribution to this year’s Street of Dreams with our home, Joie de Vivre. This modern masterpiece includes a one-of-a-kind staircase that has the appearance of being suspended in over three floors. Achieving this modern, architectural appearance was no small feat, and our collaboration with MW Design Workshop was key to the success and beauty of the final product. The suspended staircase in Joie de Vivre is made of instrument-grade Western Broad Leaf Maple, which was locally milled and stained using a custom, five-step process. 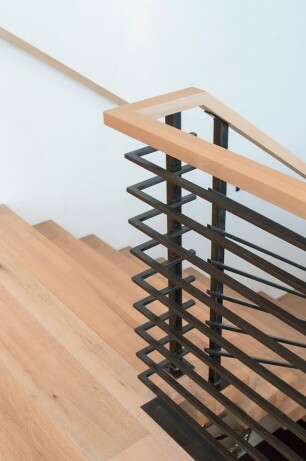 The steel used in the staircase was fabricated by local craftsmen, thereby contributing to the distinct appearance of the piece as a whole. Adding to the care and attention of this unique work of art is the fact that it was carefully assembled by experts on-site at the home itself. This ensured that every detail, no matter how big or small, was attended to and adjusted to fit Joie de Vivre perfectly. When you take a look throughout our home at this year’s Street of Dreams, you’ll notice that all of the details have been carefully chosen to complement the modern, edgy aesthetic of Joie de Vivre. 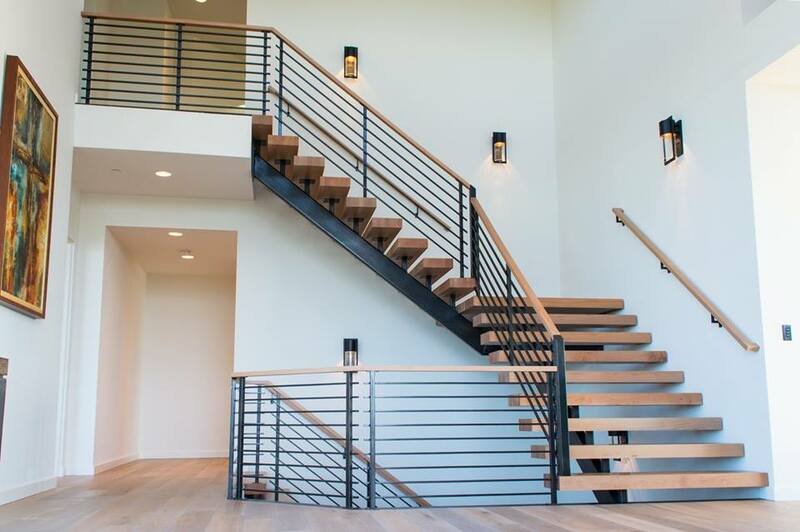 The suspended staircase, which matches the custom maple cabinetry throughout, is illuminated beautifully by natural light during the day and by custom lighting systems at night. All of this goes to support what we believe is true: the joy of living– Joie de Vivre –truly is all in the details. Come take a look for yourself at this masterpiece of a master staircase this weekend at the 2015 Street of Dreams!